Vehicle Shipping cost is displayed in the shopping cart check-out page*. Please note that some areas incur extra costs on vehicles and they include, The Florida Keys, Metro New York, Parts of Maine, some parts of North Dakota. ATV-QUADS.com makes delivery of your purchase simple and easy. Just place your order with us and it will be delivered right to your door. FAST! Please keep in mind that it is our goal to ship your order the same day it is placed, if we receive your order before 12:00 Pm Pacific Standard Time. It takes approximately between 2 to 5 business days for most deliveries. We do not ship on Saturdays, Sundays, or Holidays. Any orders placed on Saturday or Sunday will be processed the next business day. * Note shipping times listed are estimates only. ATV-Quads-4wheeler does not guarantee any exact shipping time. We do our very best to give you an accurate estimate of shipping and processing times. Order processing is 2-5 business days. Because we use major LTL transportation carriers to deliver vehicles, shipping time averages from 2-7 business days. During holiday seasons, transit time may be longer. Orders may not be canceled or refused due to extended transit schedules. for the best results, if you have a (birthday, holiday gift, etc) always order far in advance. We are not responsible for any exact delivery times. ATV-QUADS.com makes gift giving simple. Just fax us a copy of your ID and written request signed by you, asking ATV-QUADS.com to deliver to another address as a gift package. Simply sign the letter and fax it along with a copy of your ID to 818-347-6163 and ATV-QUADS.com will do all the rest for you. If you have any questions just e-mail us or give us a call. ATV-QUADS.com will happily exchange any accessories and gear items. WRONG SIZE, WRONG COLOR, NO PROBLEM! Simply call or e-mail us for a return authorization number. just let us know what sizes and colors you would like in exchange when you contact us. A shipping fee may be charged to send the new items back to you if they were shipped correctly. There are no exchanges/Returns for closeout items. Please allow up to 4-5 business days for exchanges to be processed after receipt of the exchange. (EXCEPT VEHICLES see below). ATV-QUADS.com includes NO EXTRA CHARGE residential delivery as a standard with all vehicle purchases from our online store. Most vehicles are delivered with a lift gate to lower your vehicle right to ground level for an easy unloading process. The trucking company will contact you 24 to 48 hours in advance to schedule your delivery. All in stock orders are shipped in 1-5 business days after payment. Please call us with any questions - M-F 9-5 PST 877-667-6289 or email us for a fast response. All vehicles are packaged in a metal frame surrounded by heavy packing material to protect your shipment. We have shipped many vehicles and the packaging does a great job of getting your vehicle to you safely. The outer packing material may have some marks or little holes in it so check under the material to see if your shipment has any damage. The packaging the vehicle comes in is engineered to protect the inside contents. Marks on the delivery box do affect the vehicle inside. Always inspect the insides of the crate and you will find that 99.9% of the time your vehicle is in perfect condition and ready to assemble. If you ever need assistance with assembly please do not hesitate to call us! M-F 9-5 PST at (877) 667-6289. 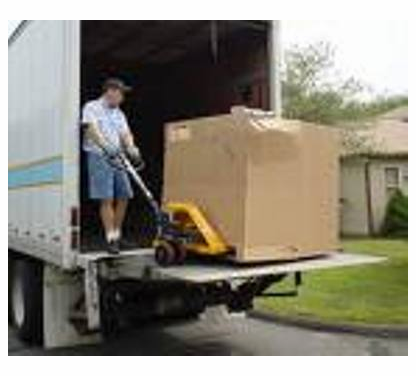 HOW YOUR VEHICLE IS SHIPPED Unless otherwise specified, the vehicles we offer are crated and on a palette. They are 95% assembled and just require a few basic tools to complete. You are responsible for performing the set-up/"PDI" that a dealer would normally perform. i.e.- installing rear view mirrors, setting up and connecting the battery, checking tightness of all screws, checking and securing all electrical connections, nuts, bolts, changing oil, etc. Items such as lose hardware and parts damaged from loose hardware and components are not covered under warranty. It is advisable to use a thread locking agent such as Loctite on all hardware to help prevent loose of hardware. Occasionally, on some units, it may be necessary to perform other routine checks/adjustments, such as adjusting the setting of the idle speed and fuel/air mixture screws on the carburetor, setting and adjusting the brake system, cleaning of the carburetor, checking to ensure wires are connected properly, adjusting chain slack and alignment(if applicable), in order to achieve optimum performance from your vehicle. We will gladly assist you with any additional technical questions you may have. All PRE-approved Vehicle returns will be charged a 25% restocking fee plus original and/or return shipping costs. We strongly suggest our customers please inspect your new vehicle immediately upon receipt. If the vehicle is damaged during the shipping, you must contact our Customer Service Department within 3 days of delivery to obtain a RMA number and we will provide you with free replacement part(s), & free live telephone technical support within the warranty period. Vehicles returned within 7 days of receiving be must in 100% new, re-sellable condition. Merchandise is not eligible for refund if it has been assembled, ridden, worn, used, abused or damaged in any way. Vehicle must arrive complete (including warranty cards, manuals, accessories, promotional items, etc.) and in the original un-opened packaging. Must be made within 24 hours after your order is placed. Please call us at 877-667-6289 or e-mail a customer service representative in order to cancel your order. Your order can be canceled and you will obtain a full refund if your order has not yet been shipped or within 24 hours. After 24 hours there is a $150 cancellation fee. Once your order has been shipped it cannot be canceled without return charges that we incur. If you choose to cancel your order once it has been shipped, you will be charged for all shipping costs and a 25% restocking fee. Please allow 2 to 3 business days for your account to be successfully refunded in full. You will be notified by an email confirmation once refund has been issued. ATV-QUADS.com works hard to ship your vehicle order correctly. If there is any discrepancy in your order, you must notify our customer service department at (877)667-6289 within 48 hours from the receipt of the vehicle. Any items that are returned damaged or used (factory defects not included) will not be accepted, and freight charges will be charged to the customer. No returns or exchanges will be accepted for closeout items.